Few industries utilize price structures as confusing as the airlines. When you purchase a ticket for a bus or train you’ll pay the same rate for almost any day of travel. Maybe you’ll face a slight surcharge for a last-minute trip. But when it comes to airfare, rates change daily, and usually without notice. Many factors influence the cost of airline tickets, including when and where you book, and when and where you travel. Plus, you’ll still face a myriad of hidden travel fees for items and services like checking bags and changing your reservation. Though the nature of airfare can be complicated, figuring out some of the reasons behind the costs and fluctuations isn’t impossible. Understanding these key factors will help you save money when you travel. If you’re baffled by skyrocketing rates and not quite accustomed to all the options available to you, start with these steps. An obvious advantage of planes as opposed to trains, buses, and cars is the speed of travel. You want to get to your destination as quickly as possible, so when you fly, you should always first consider a nonstop flight. Before you jump at a fare that’s $20 cheaper with a short layover, consider how valuable your time is, and don’t forget the scheduling risks associated with a stop. In addition to the time you spend landing, waiting, and taking off again, you’re likely to end up spending a few dollars while you’re anxiously awaiting your next flight. Worse, when you have a stopover you run the risk of missing your connection, leading to more lost time (and probably more spending at the gate). If you have the time to spare, and the discipline to keep your wallet in check, you might be able to save by taking on a stop. But if you’re like most travelers, trying to spend as much time at your destination and as little time in transit, the premium price for a nonstop ticket may be worth it. If your natural inclination is to use a mass-airline search engine, such as Expedia, Hotwire, Travelocity, CheapOair, or Kayak, remember that you’re not really looking at every airline. Carriers like Southwest, for example, restrict their fares from showing on these services. They only sell their tickets directly through their website. To find out which airlines serve which cities, start by researching on Wikipedia. The Wikipedia page for each airport will show a list of every airline that serves it and all of the nonstop destinations served by each airline. Start with a travel site like Expedia to pinpoint the lowest fares available. If airlines on the Wikipedia list don’t show in the results, check with those carriers’ official sites. Compare all of the options and then book with the cheapest airfare. If you end up needing to book a multi-stop trip, remember that the best overall fare might involve combining airlines. If you’re not checking any bags, you may have more options. You can find fares through one of those third-party sites, but once you’ve chosen your flight, don’t ignore the possibilities that await on the airline’s page. I prefer to book my flights directly through the official site, as extra deals and discounts are sometimes available. Most airlines guarantee the lowest fares through their own site, partly because they don’t have to pay additional transaction fees. Travel portals are great for filtering the options and finding the right price and times, but visiting the airline’s official site is always worthwhile. Being flexible about your travel dates will always help you find the best fare. Fridays, Sundays, and even Mondays come with higher rates, so if it’s an option for you, flying a day or two earlier or later can make a huge difference. Many airlines only offer their best discounts for travel on Tuesdays, Wednesdays, and Saturdays. Rather than pay more for a Friday flight that involves rushing through the work day, a hectic trip to the airport, and a late, tired arrival, consider a trip early Saturday morning. You’ll have a more relaxed trip, and perhaps an extra $100 in your pocket. Conveniently, most airline sites and travel search engines let you search with a range of dates to find the best prices. If you’re a sophisticated searcher, you can use a matrix interface that shows the varying fares based on possible travel dates. Though major holidays are tough times for finding any great fares, you can spot some bargains if you’re willing to travel on a holiday such as Thanksgiving, Christmas, or New Year’s Day. If you’re flying to a major city, you probably have at least two airports to consider as options. Some small- and medium-sized cities tend to have another nearby airport, and even if it’s an hour or two away, this alternate destination can be much less expensive without being much less convenient. I discovered that half of Toronto prefers to drive two hours to depart from the airport in Buffalo to avoid the taxes and fees at Toronto International Airport. 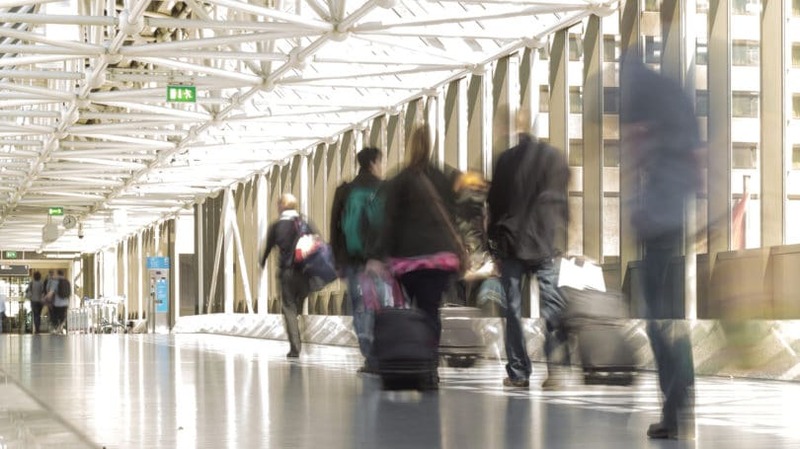 Utilizing the more out-of-the-way airport isn’t always as tough as it may seem. If you’re driving your own car, then it just depends on your willingness to make the trip. But if you’re relying on a friend or family member to pick you up, they may be closer to the alternate airport than you think. If you’re taking public transportation, the difference might be negligible. When flying to Chicago, for example, tickets to Midway are usually cheaper than fares to O’Hare, and you often end up at your final destination sooner because it’s a smaller airport, located closer to the city. Sometimes it’s even worth the savings to take the alternate airport and rent a car. On a trip to Orlando, I found a flight to Tampa that cost almost $250 less than flights to Orlando. I only paid $50 to rent a car from Tampa and drop it off in Orlando, and the one-hour drive was an easy one. In the past, round trips were always cheaper than the cost of two one-way flights. Today, most airlines will sell you a one-way ticket for half the cost of the round trip option. Your options are open, and you can mix and match flights from different airlines. To find the best flights, shop for each leg of your trip separately. You don’t necessarily even have to arrive and depart from the same airport. The first few times you plan air travel, it’s easy to get caught up in all the options, suggestions, and varying costs. Many people forget to consider extra airline fees, such as checked baggage fees. Before you start looking into flights, figure out how much baggage you will need. When you find a fare you like, check the airline’s policies and find out how much extra you’ll have to pay for your bags. You may find that a slightly higher airfare leads to a lower total cost. If you’re planning a ski trip to Colorado with two bags, for example, United Airlines will charge you for both of your checked bags, while Southwest will not. If you are bringing a bicycle, Delta will charge you $150 each way, while your bike would fly for free on Frontier. If you do end up needing to pay a baggage fee, it’s still a good idea to plan in advance because many airlines charge a lower fee if you pay in advance and online. If you’re a frequent flyer ready to take savings and planning to the next level, or if you think you fall into a special category of traveler, explore these ideas. As with any online purchase, there’s a good chance that some airline ticket discounts are available. Sometimes you can find an old-fashioned coupon in a book, and, of course, you can seek out discount codes online. Search popular travel forums like Flyertalk and MilePoint for possible deals. Sign up for newsletters from airlines you use frequently, and you’ll get updates on their latest promotions as well. Programs like the OPEN Savings program from American Express offer great opportunities for savings. OPEN provides 5% cash back on AirTran tickets when you use an eligible card, such as their SimplyCash business card. Further, the Delta Platinum Card from American Express offers a free companion certificate when you renew your cards. 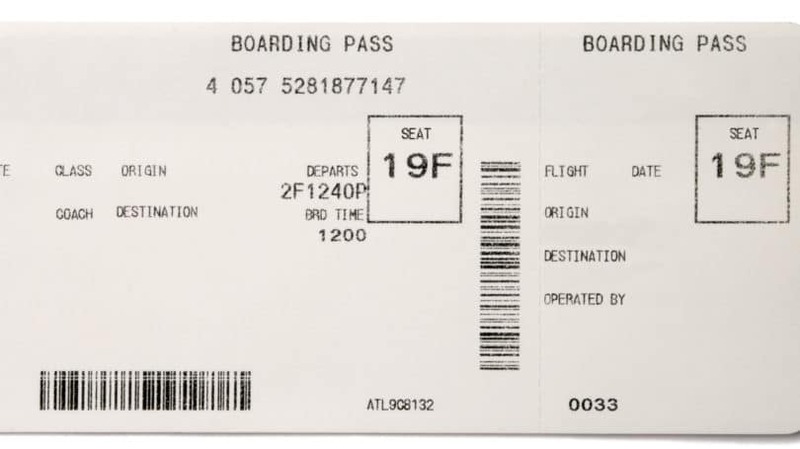 Starting in January 2012, government regulations require all airlines to refund your tickets within 24 hours of purchase for any reason, as long as you’ve purchased your tickets at a least a week in advance of your flight. This policy changes the game so much that it makes sense to purchase a low airfare as soon as you find it, and then try to beat it over the next day. Even if your airline has a sale right after you buy your ticket, you can purchase a new seat and get a refund for the old one within 24 hours. Better yet, Southwest allows you to make fee-free changes at any time. Therefore, you can rebook your ticket if the price drops and receive the difference as a credit toward a future flight. With other airlines, the price drop has to be greater than their required change fees (typically $50 to $100) to realize any savings. If you’re leaving the country, an airline consolidator can help you get the lowest fares. Consolidators are companies that make bulk purchases of tickets directly from airlines. They get a discount and then sell the tickets to passengers at a rate that earns them a profit, but still undercuts the prices that individuals normally get. So why doesn’t everyone use consolidators? The downside of this service is that you don’t get a lot of flexibility. Any changes to your tickets will trigger an exorbitant fee. To find a consolidator, check with a travel agent who specializes in trips to your destination. The travel section of your newspaper likely features advertisements for consolidators too. Many airlines offer lower fares on Wednesdays for travel over the approaching weekend. Sometimes the airline posts their deals on their website, while other times they are available via an email subscription. 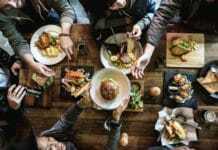 You can’t rely on these deals if you need to make solid plans, but if you have some flexibility or just want to get away, these promotions can be right up your alley. Some carriers will only offer the last-minute rates for Saturday through Monday round trips. Only a few airlines remain that offer special rates, but if you search, you can find them. Often the rates for kids and older adults are only available for last-minute travel, and you almost always need to book directly with the airline to get the discount. Airlines occasionally offer discounted gift cards for sale. Some Costco locations, for example, will sell American Airlines gift cards with a 10% discount. In other instances, you might find discounted gift cards on the secondary market from gift card resellers like Plastic Jungle. Even if you can’t find discounts, you can still pick up full-price cards at the supermarket and take advantage of credit card bonuses, like the American Express Blue Cash Preferred program, which offers 6% cash back on grocery store purchases. You may have racked up enough miles to be an airfare expert, but that doesn’t mean you can’t learn a few more tips and tricks. Miles are almost never worth the prices that airlines charge for them, but sometimes they’ll have a sale. That’s when you can jump on the opportunity. US Airways frequently offers promotions, like a 100% bonus on any miles purchased. That means you’d get 100,000 miles for the cost of 50,000. While that many miles would cost about $1,500, you’d have enough miles for a round trip ticket to Europe, Asia, or South America in business class. If you know you have a major trip on the way, you can use these deals to your advantage. If you collect enough frequent flyer miles, you may even be able to get free flights. It’s time to take the first beginners tip to the next level and use the lower rates for multi-city flights to your advantage. Sometimes, a trip through a city on your way to a final destination is cheaper than a trip to that city alone. The cost of a flight from Philadelphia to Houston and then to Dallas, for example, could be $100 cheaper than the direct flight from Philly to Houston. In this example, Houston is the “hidden city,” where you can just leave the airport, despite your ticket to Dallas. You’ll have to avoid checking baggage, since it would go on to your final destination. You can’t book a round trip, because airlines will cancel what’s left of your plan once you miss a flight. You need to check your carrier’s policy. There’s nothing illegal about this strategy, but it may be against company rules. If your airline doesn’t allow these plans, you could end up forfeiting your frequent flyer miles. Some promotional rates require a Saturday night stay, and if you’re making frequent business trips, you may not qualify. If you’re crafty and careful, however, you can still get the rate. With a back-to-back ticketing plan, you’ll book the departure of your first trip and the return of the last trip as one round trip, getting the low rate. Then, you’ll book other tickets as weekend round trips that originate at your destination. The trick is that you’ll need to use two different airlines. Like a “hidden city” agenda, these plans aren’t against the law, but they are against most airline policies. Using two different companies is fine, but you can’t use this strategy and give your business all to one airline. Take a few minutes to detail any recent problems and email a brief, polite, and specific note to your airline’s customer service center. If you have a legitimate complaint and handle it professionally, you can get an impressive credit to use toward a future flight. I once had an airline cancel a flight because they did not have a crew available. I needed to remain overnight, and by the time the cancellation was announced, no one was left to offer me a hotel or meal voucher. When I returned home, I registered a complaint with the airline, and they offered me a $200 voucher. I haven’t seen it work, but many people say they find the best fares on Tuesdays and Wednesdays. 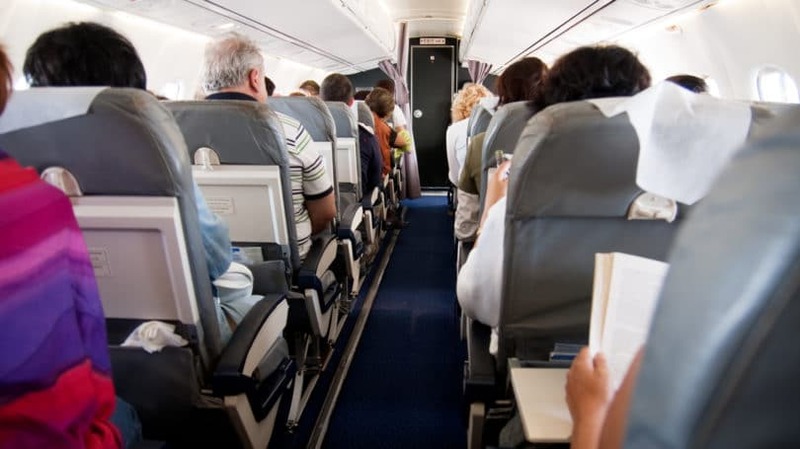 Some airlines update their databases midweek, so you might find that they’ve made some of their rates more attractive if seats aren’t filling quickly. While you’re at it, you can set price alerts on most search engines, so you can at least get a notice if rates are on the rise. Overnight flights are usually cheaper, and if you can handle the disruption in your routine, they also help you save the cost of an extra night of lodging. Personally, I don’t use this plan, because arriving tired and in need of a shower isn’t how I like to travel. If you can take it, though, you can save plenty of cash. Airlines are teetering on the edge of profitability, so they’re stepping up their efforts to get as much money as possible from consumers. But remember, you have the power over your final decision. If the rates are unreasonable, don’t let the companies win by conceding to their high prices. 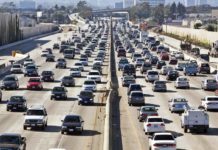 Consider the cost advantages of alternate transportation. 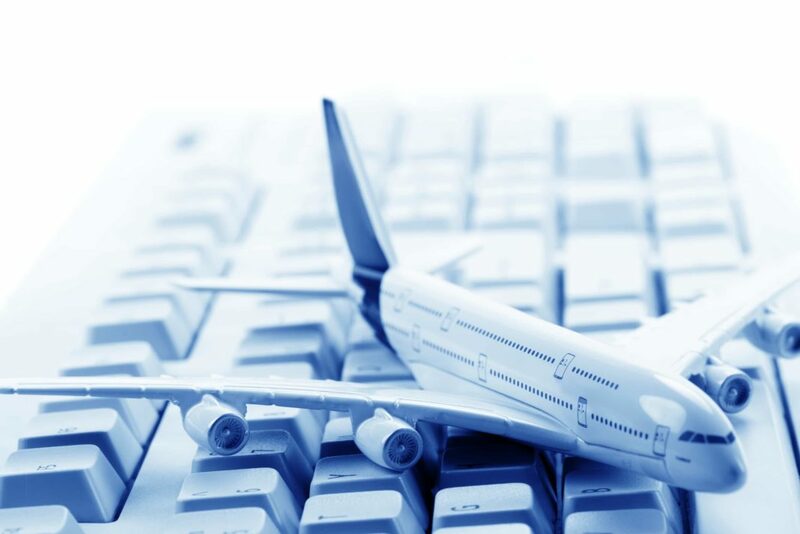 If you choose to fly, go into your airline ticket search armed with the best tactics and strategies, and fight back by lowering your ticket costs. If you want to get the best rates, you need to consider your comfort level with these strategies, weigh the pros and cons, and then pick out which plans you want to put into action. Have you tried any of these tricks and tips? Which of them have worked best for you? Jason has been writing about personal finance, travel, and other topics on blogs across the Internet. When he is not writing, he has a career in information technology and is also a commercially rated pilot. Jason lives in Colorado with his wife and young daughter where he enjoys parenting, cycling, and other extreme sports.